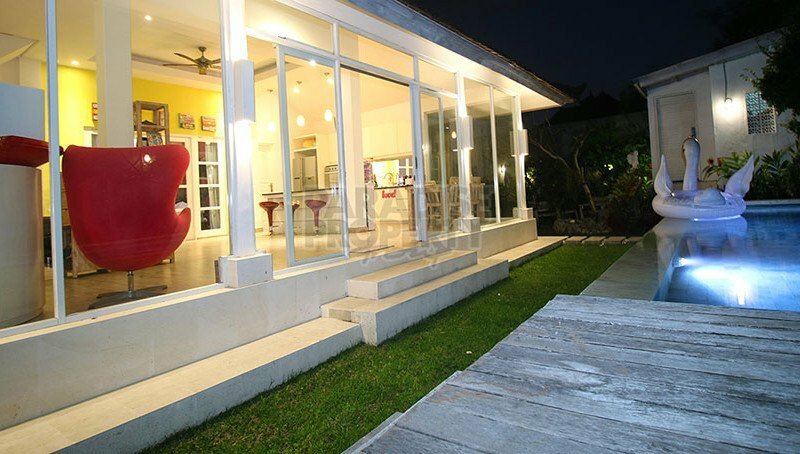 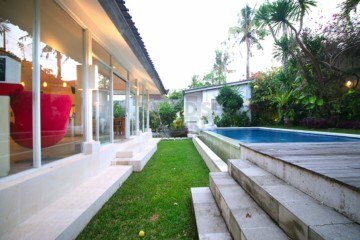 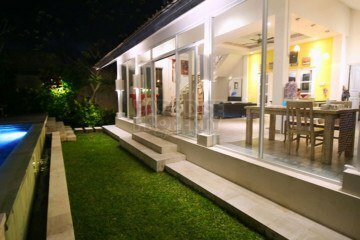 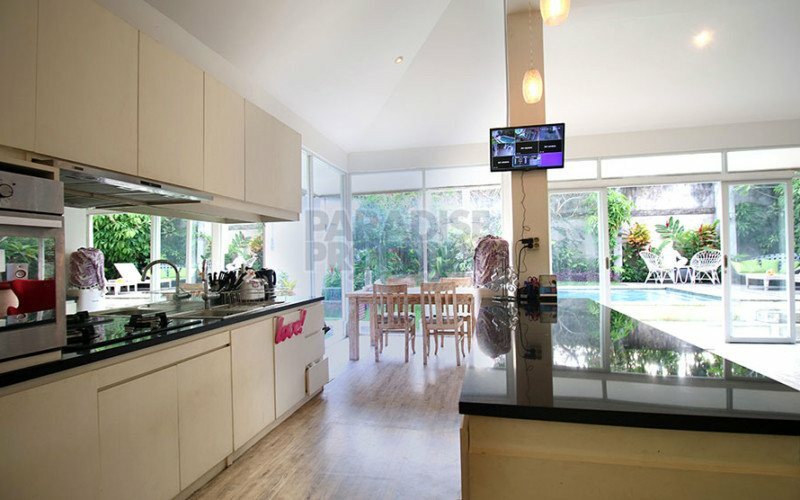 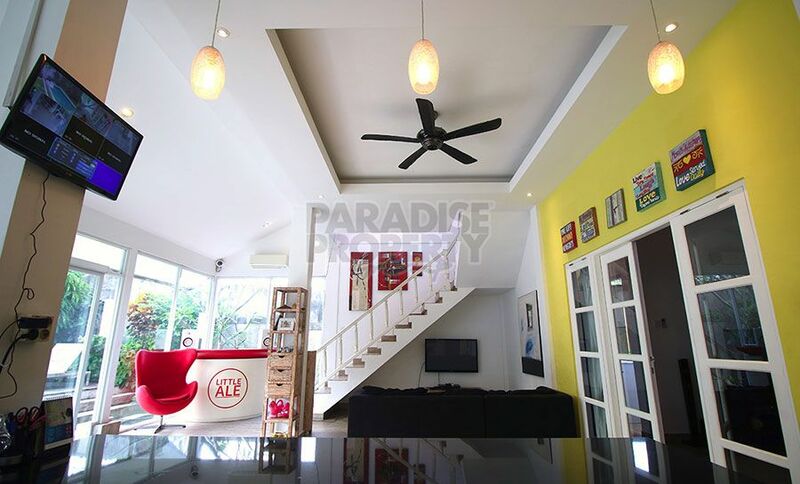 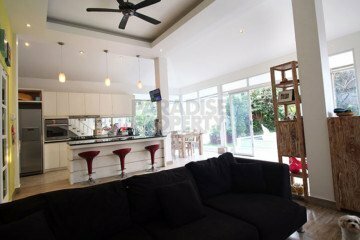 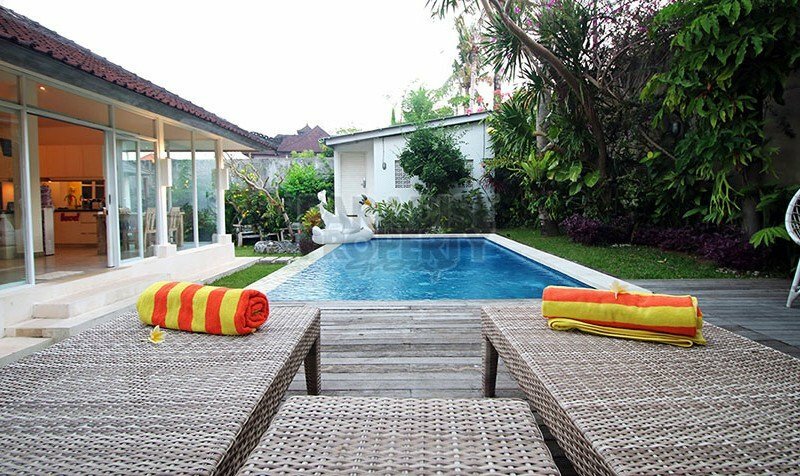 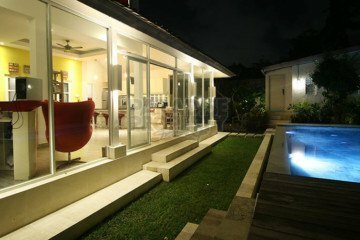 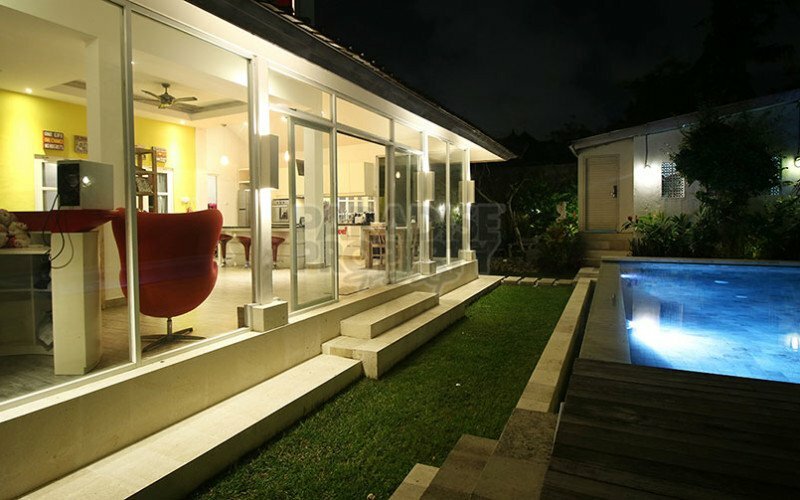 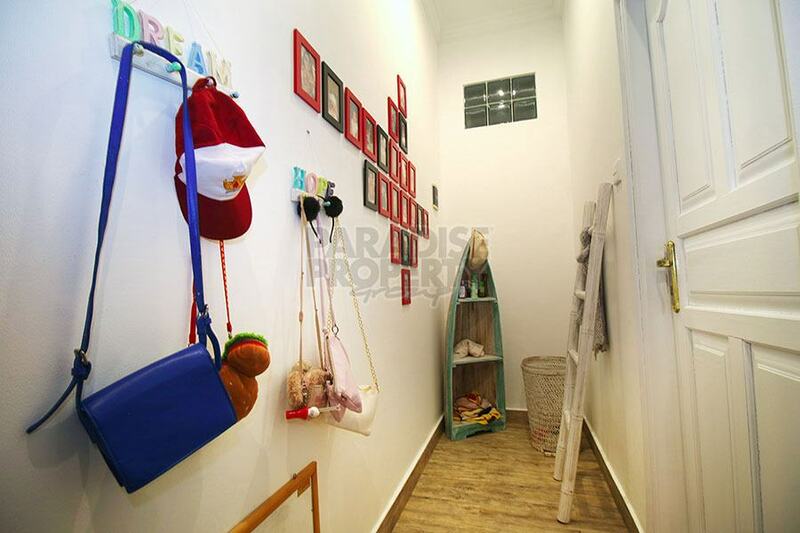 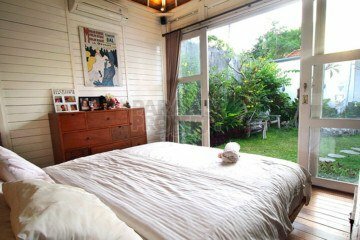 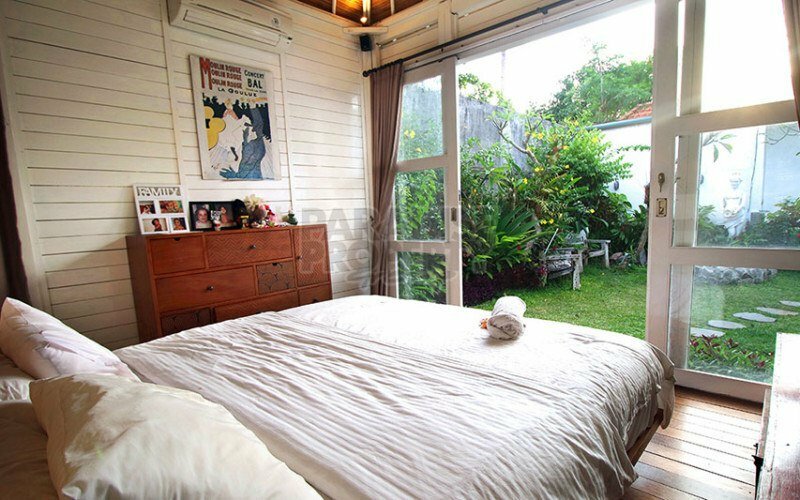 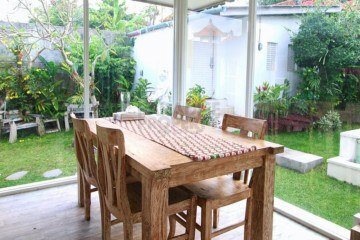 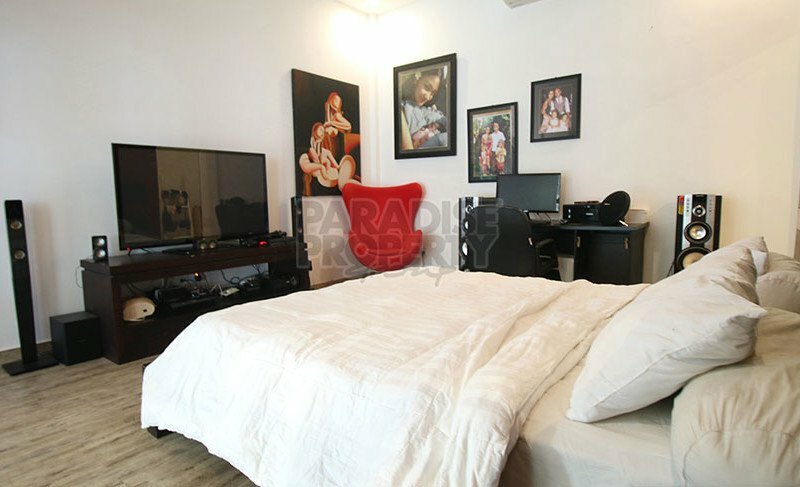 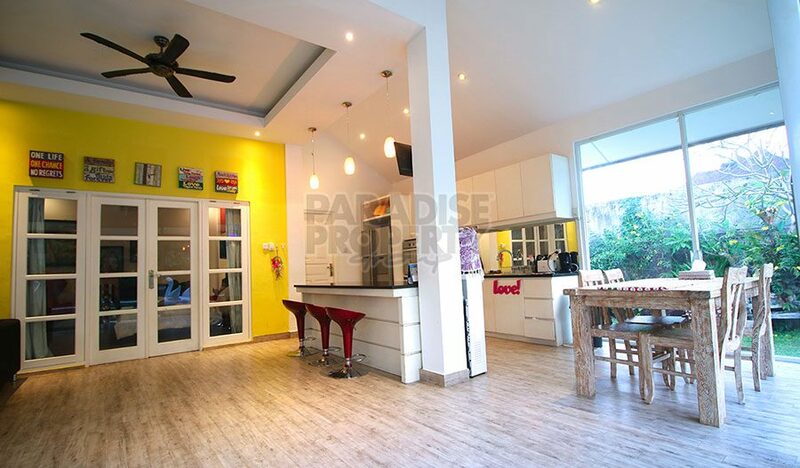 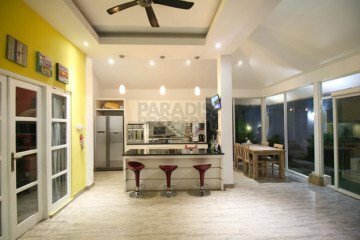 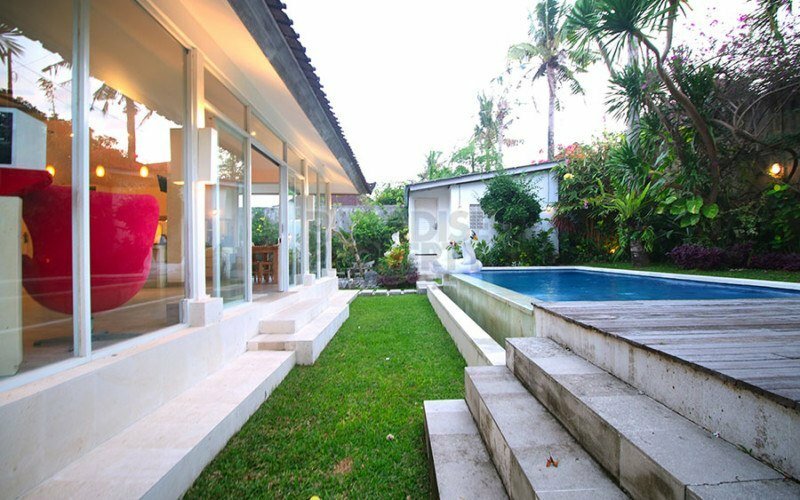 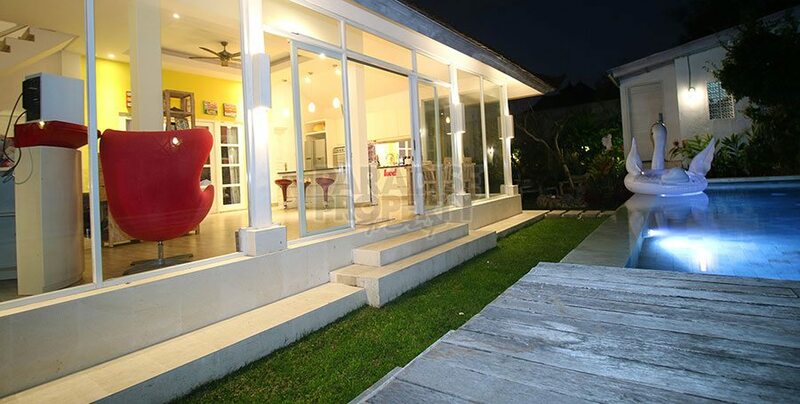 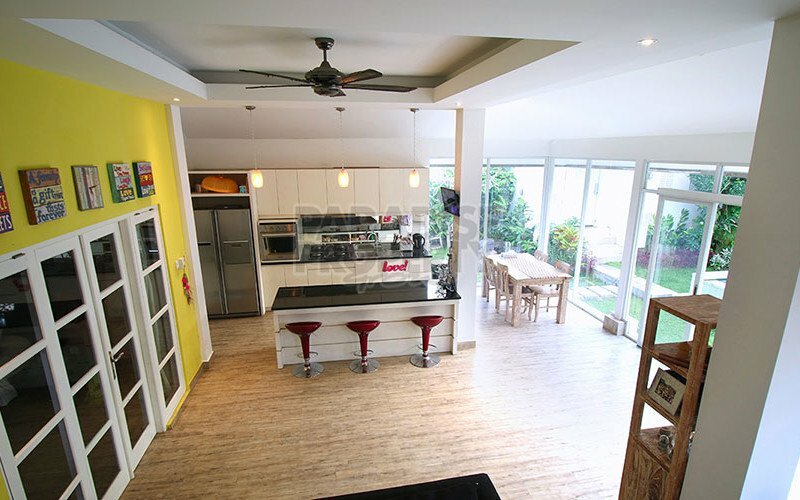 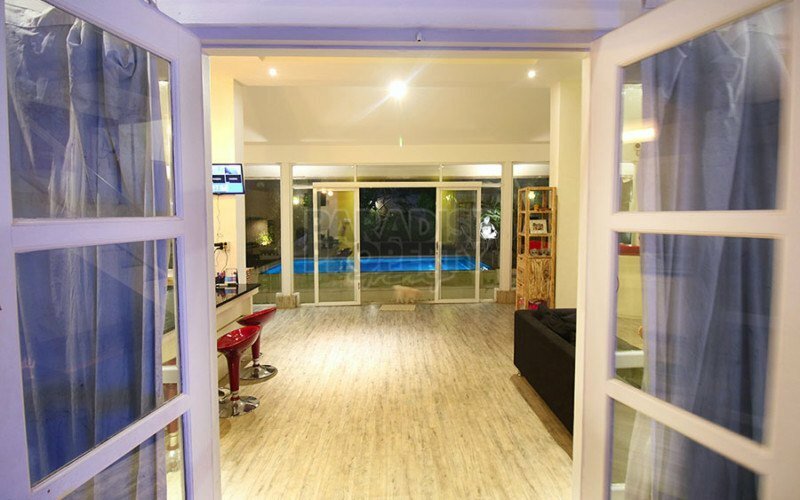 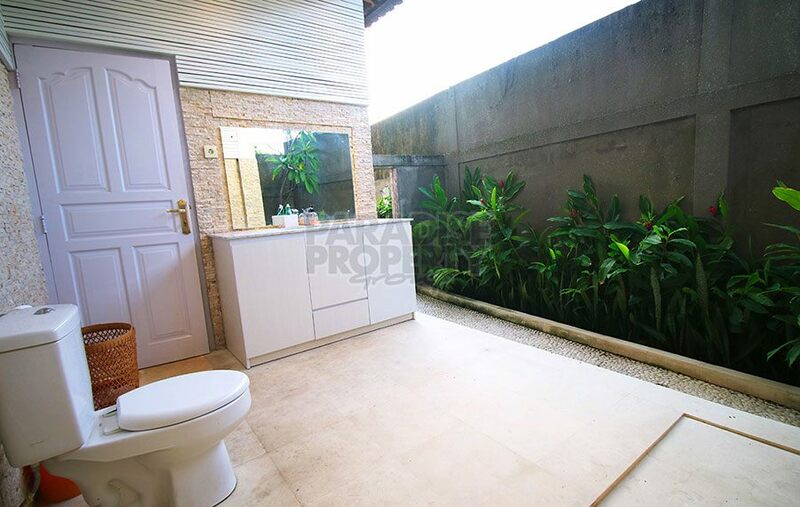 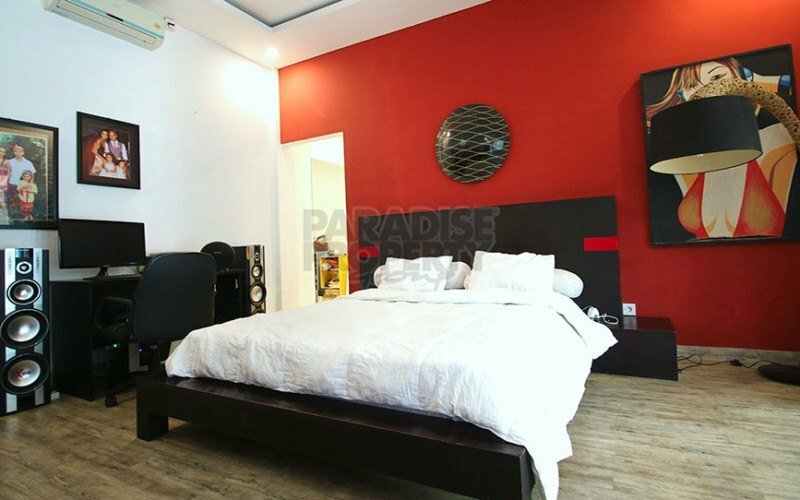 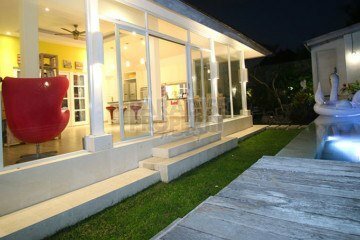 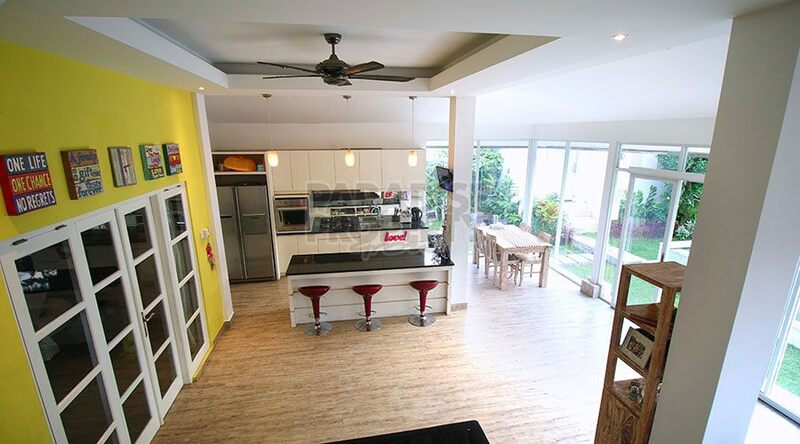 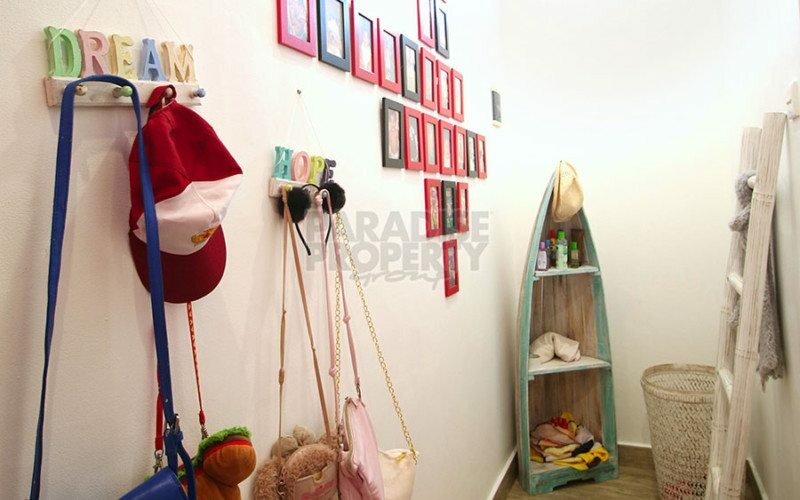 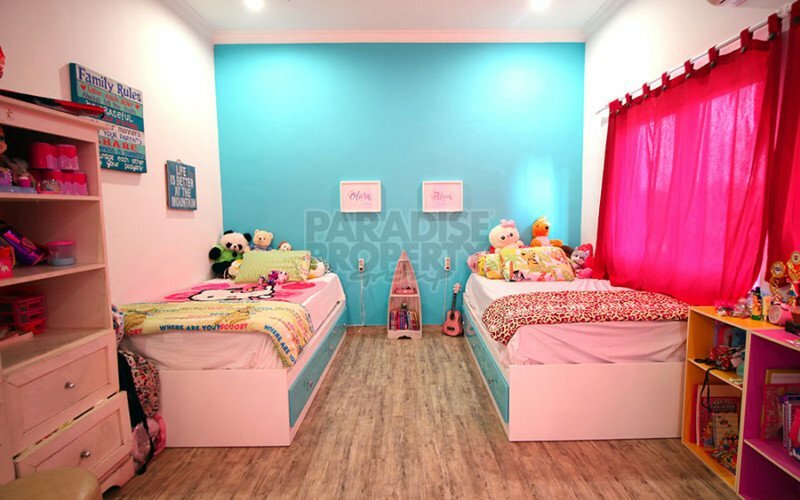 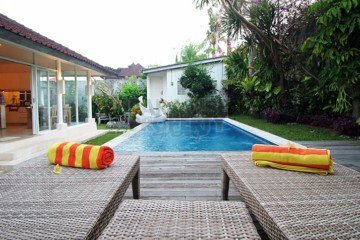 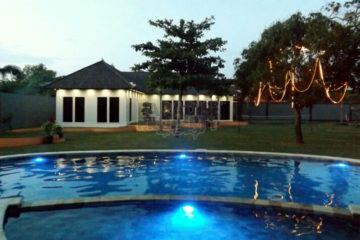 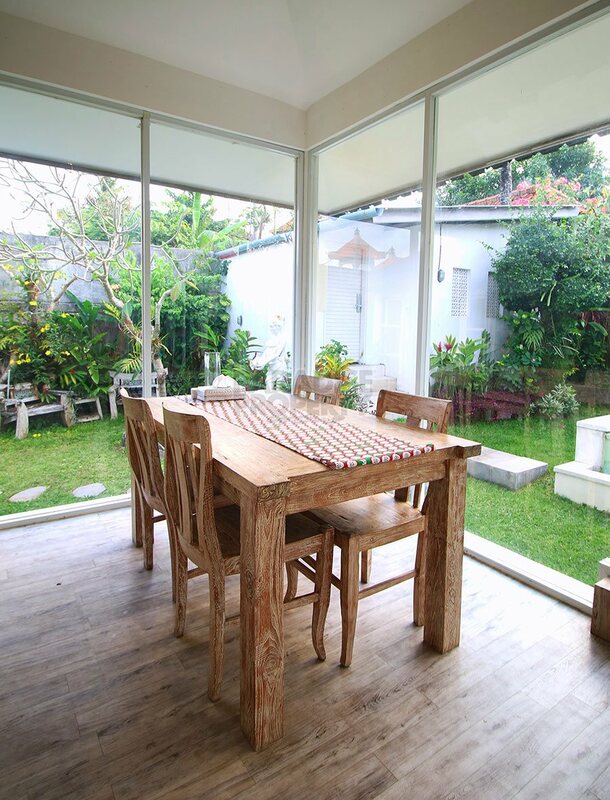 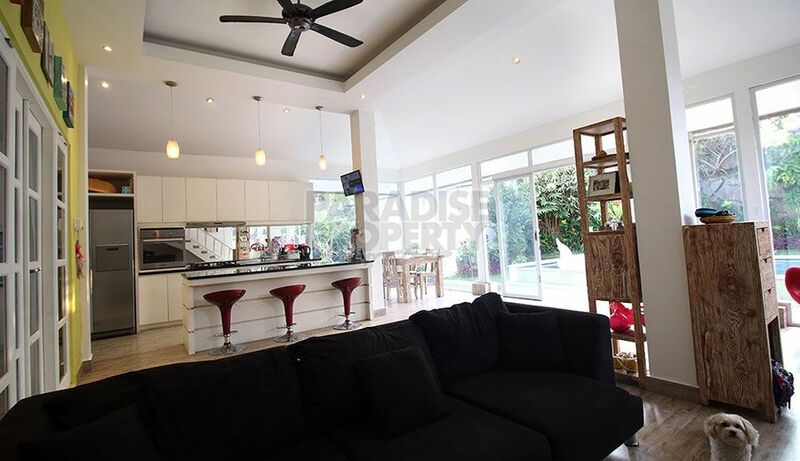 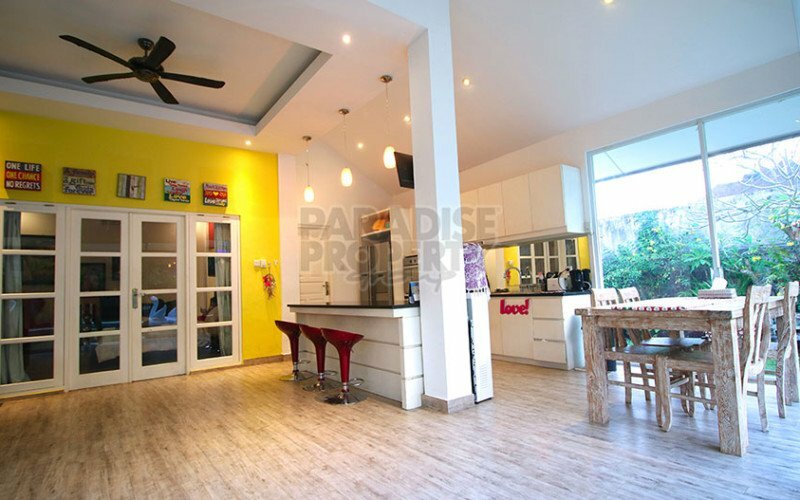 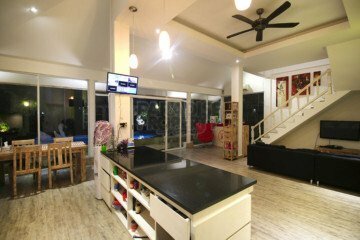 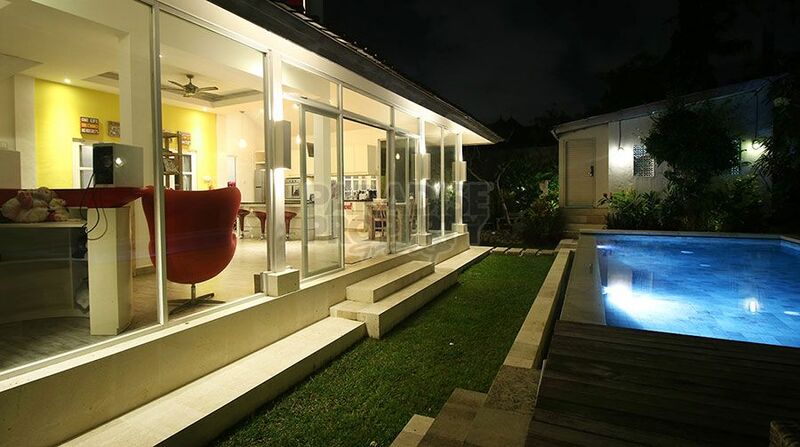 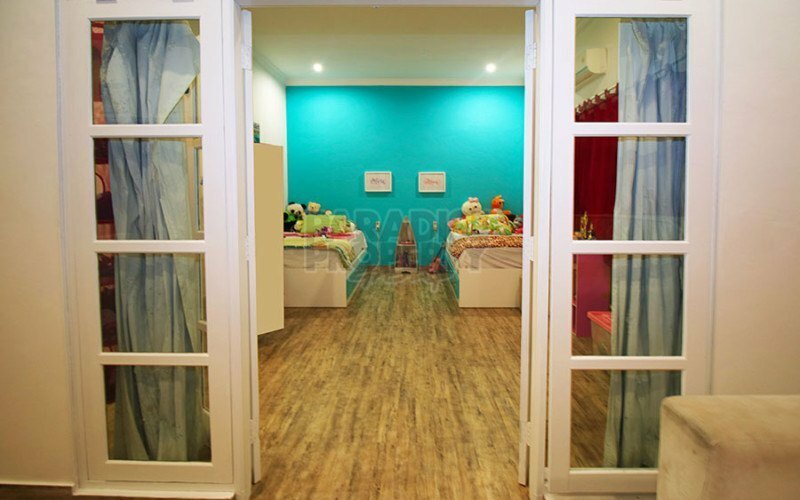 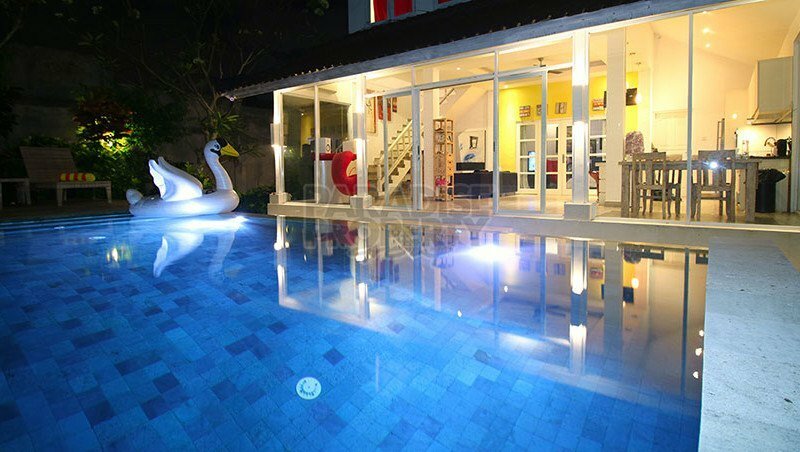 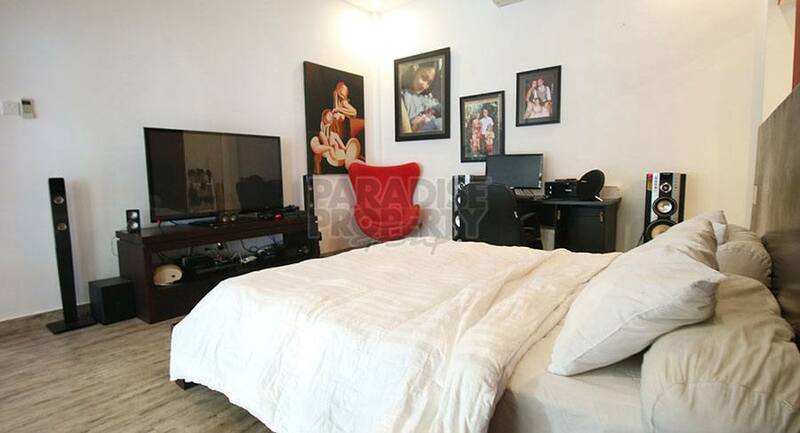 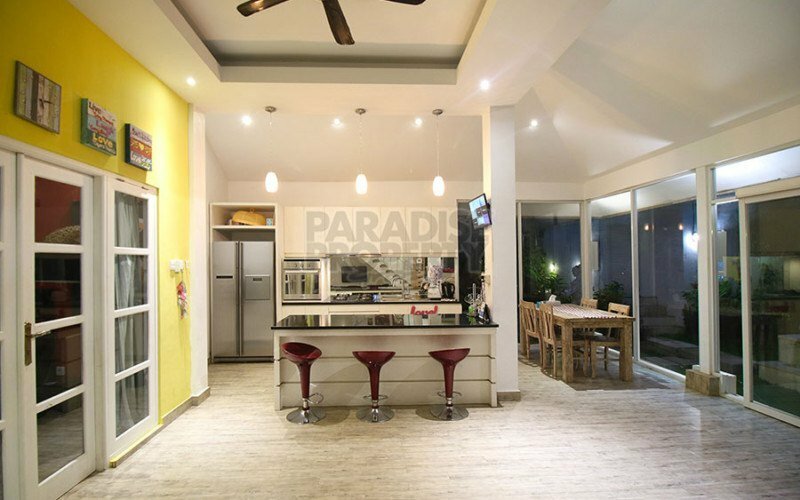 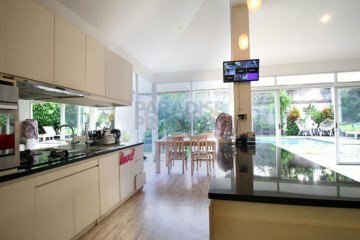 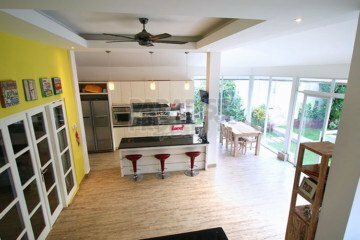 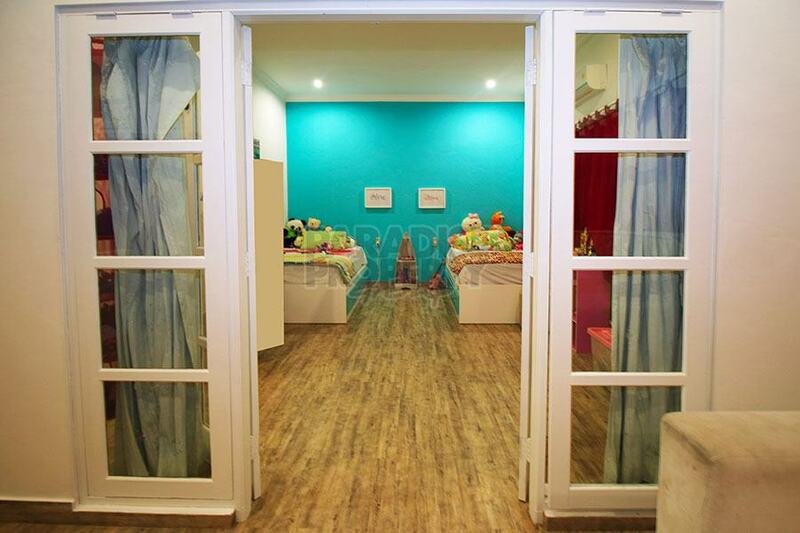 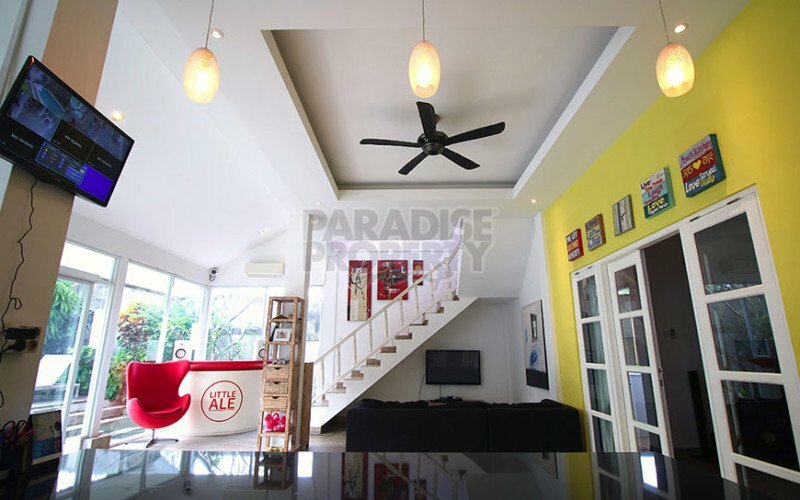 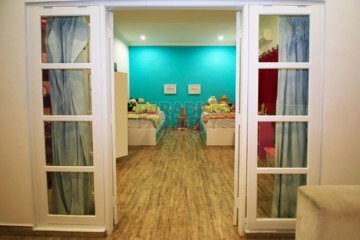 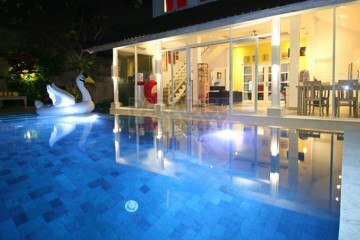 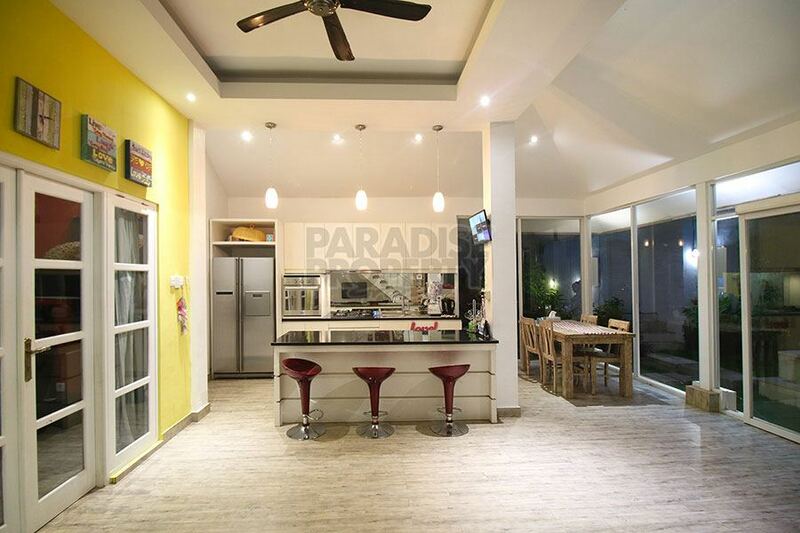 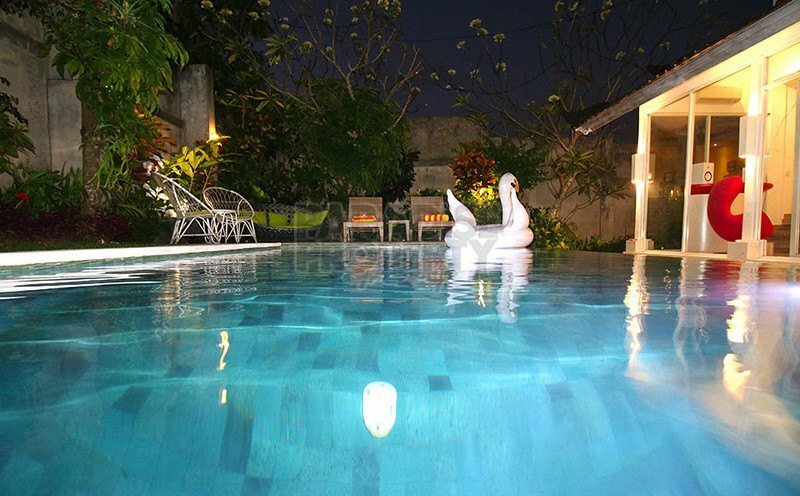 This villa is conveniently located in a residential area just behind Jalan Raya Semer. 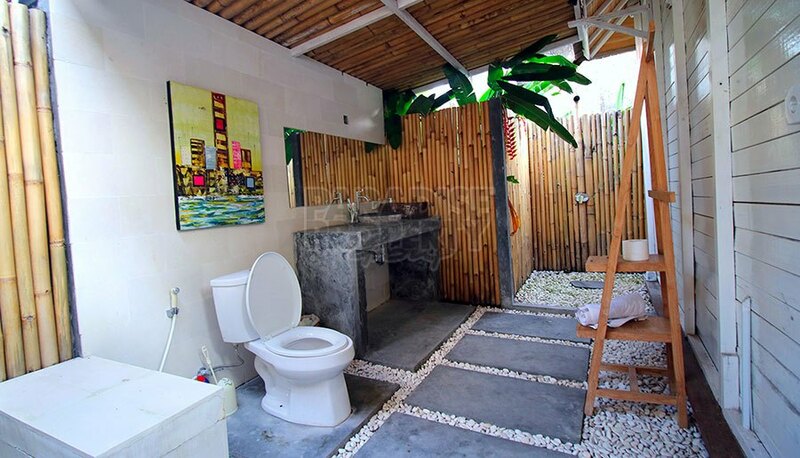 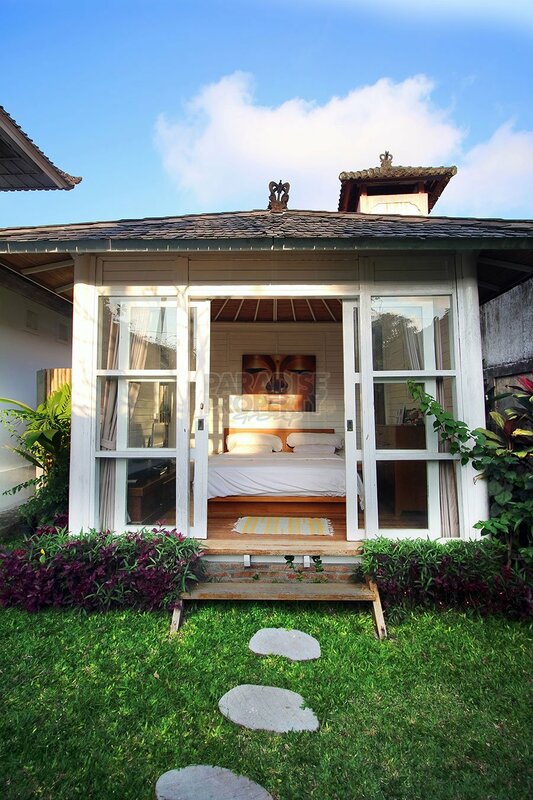 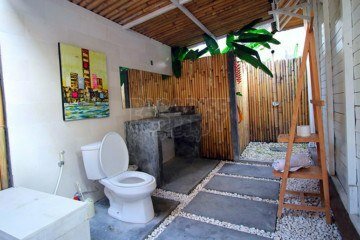 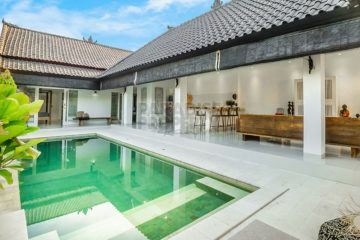 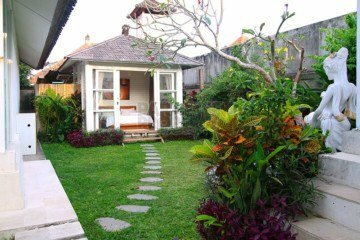 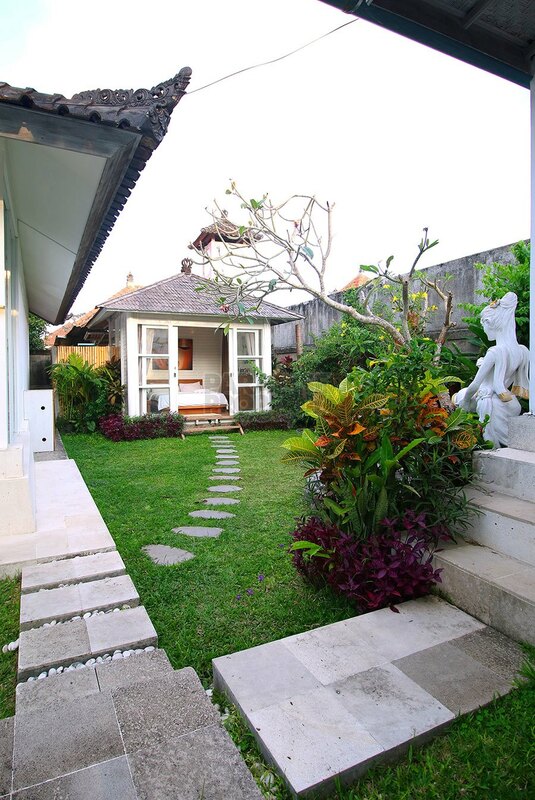 The house consists of the main building and a joglo with bathroom. 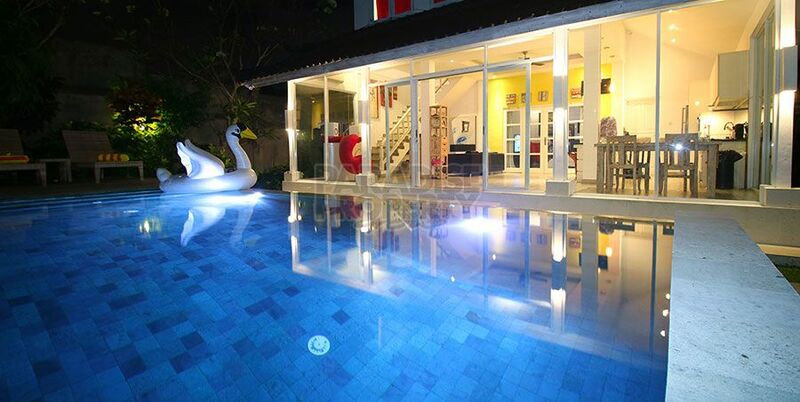 The main house has 2 floors. 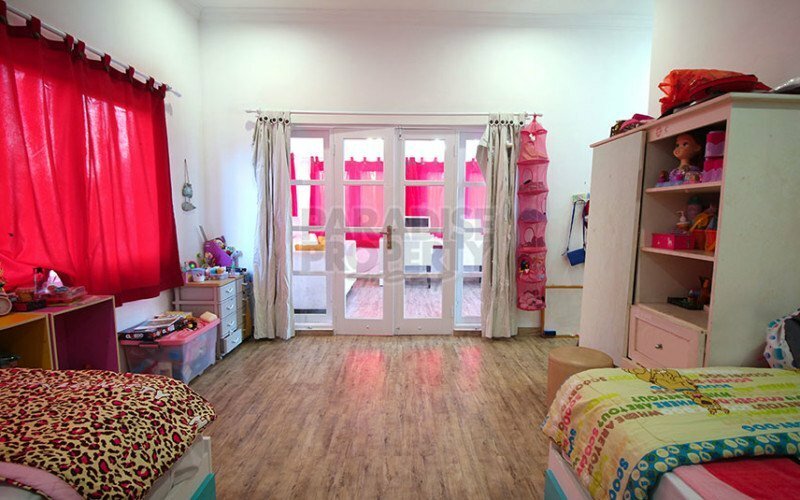 The first floor has a bedroom and a walk in wardrobe, an outdoor bathroom, a modern kitchen complete with stove, 2 door fridge and oven, a livingroom and a service room. 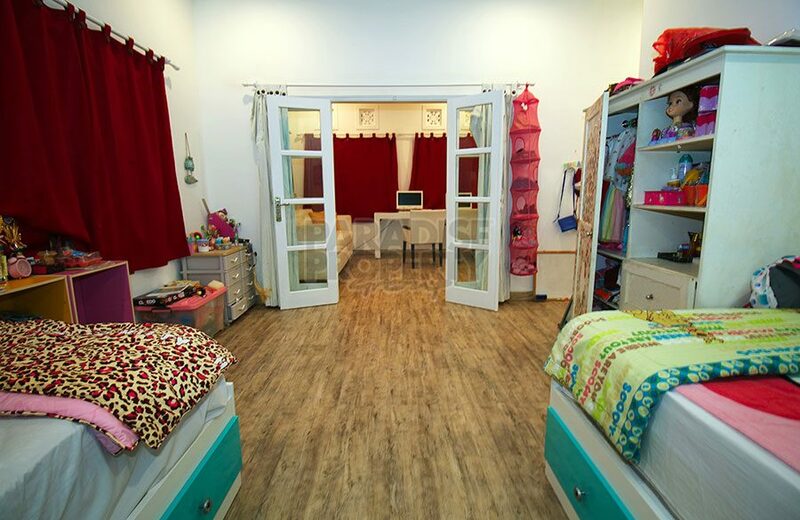 The second floor has a bedroom with an ensuite bathroom with bathtub, and a living room / work room. 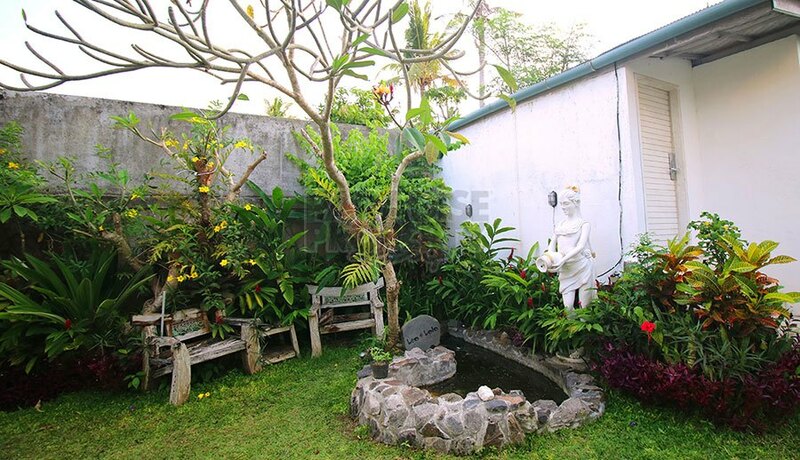 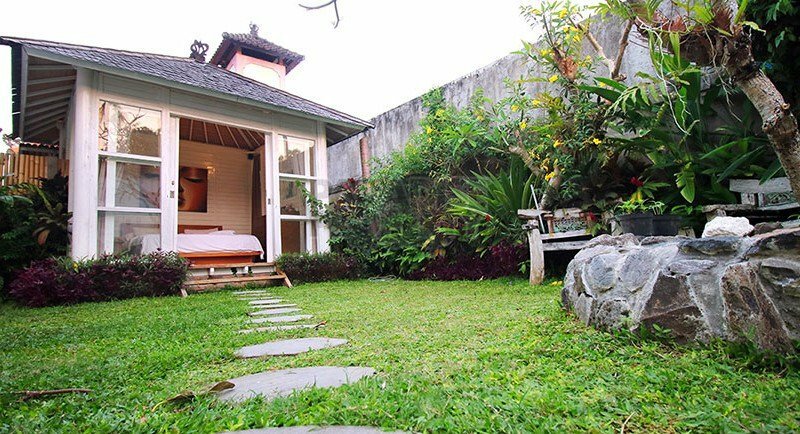 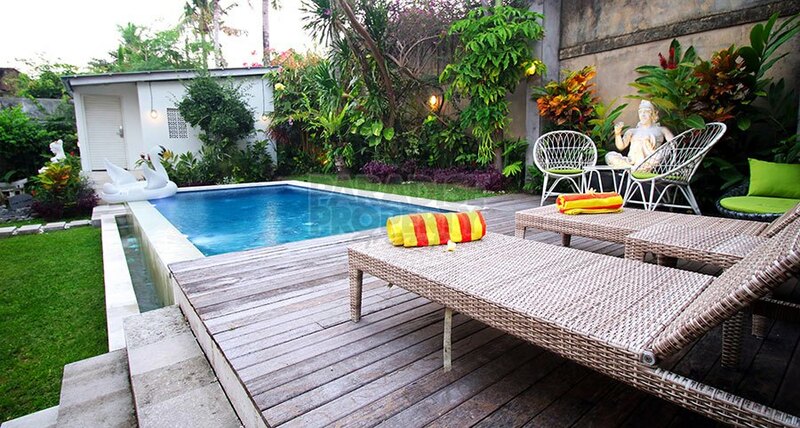 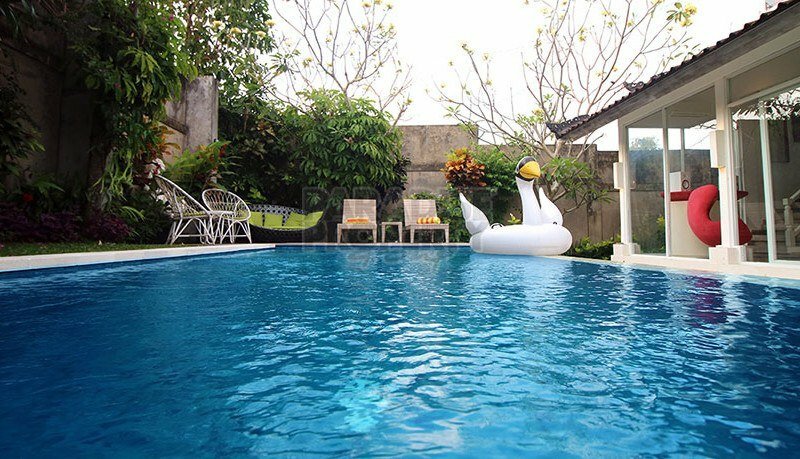 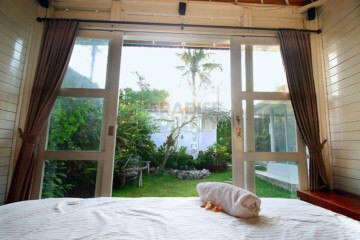 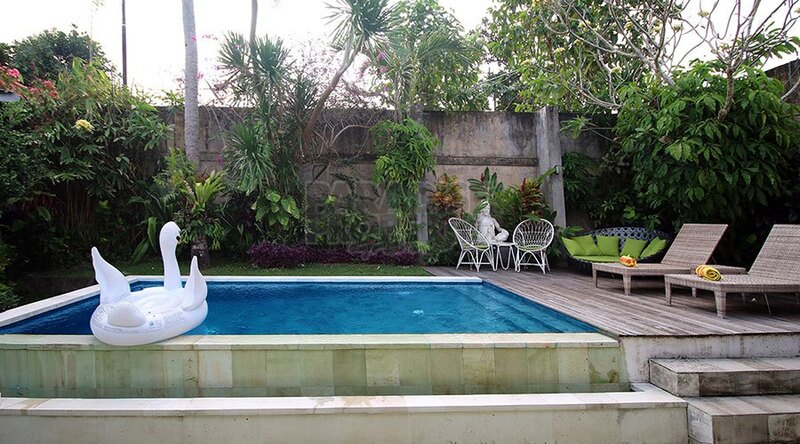 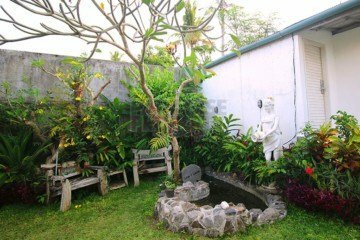 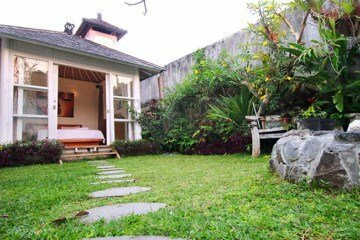 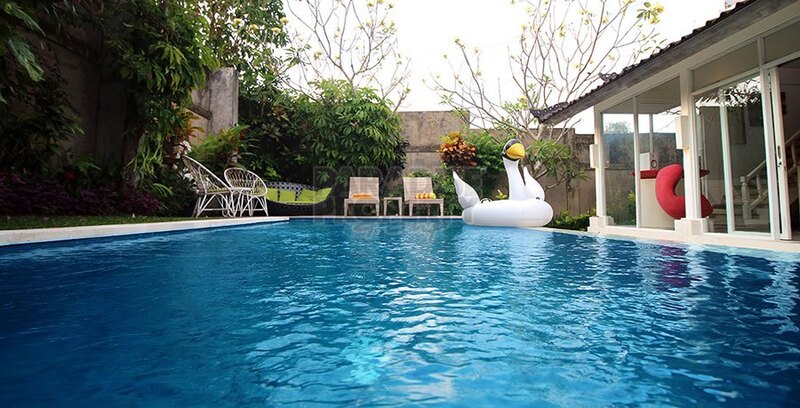 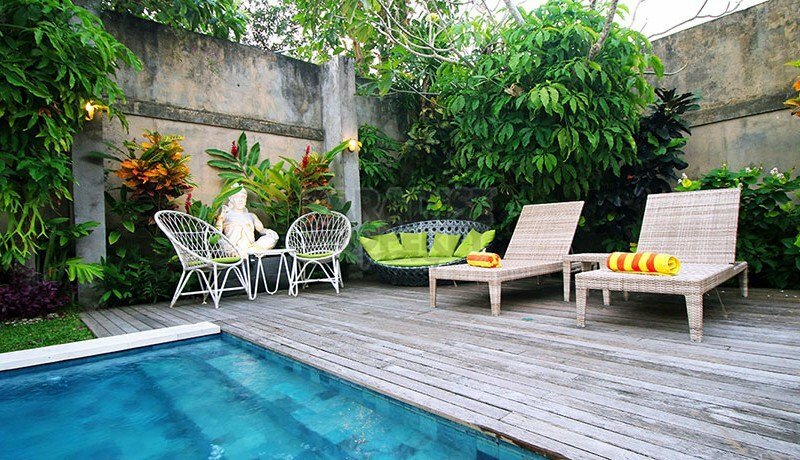 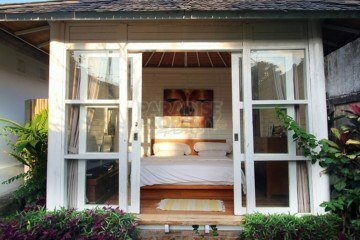 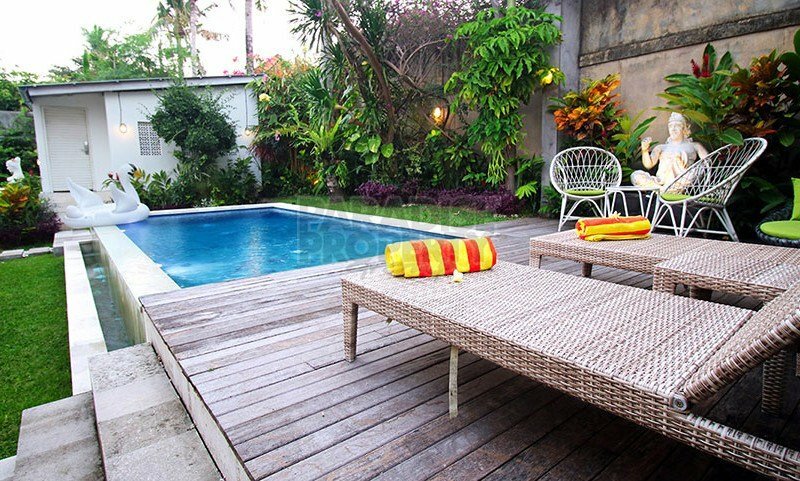 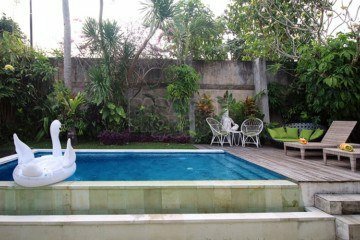 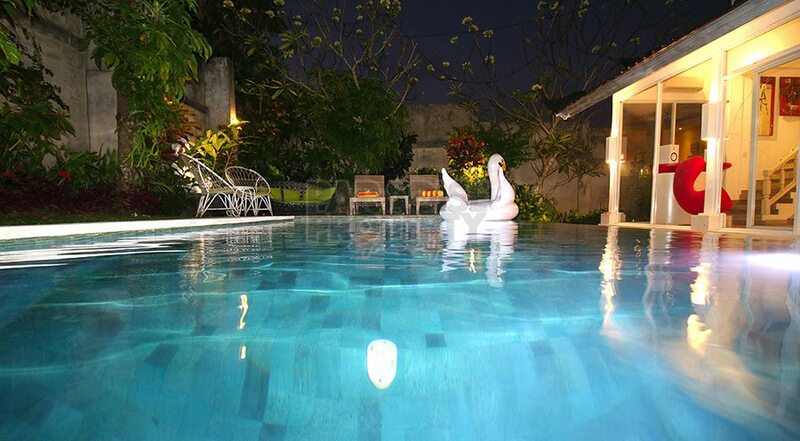 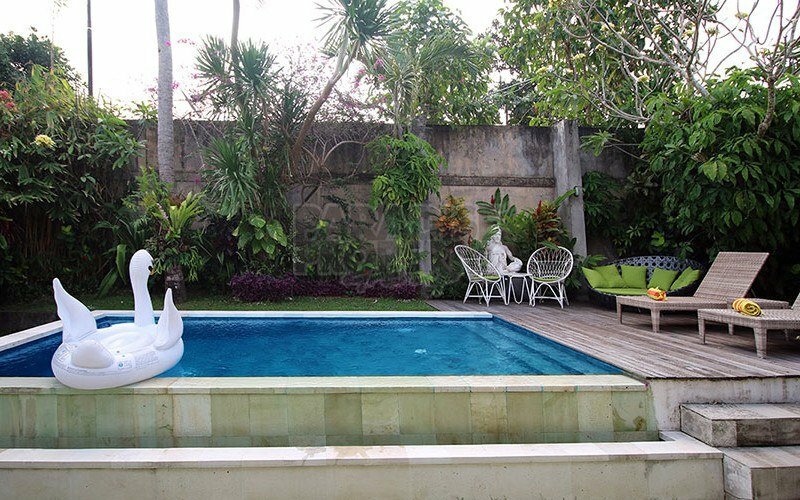 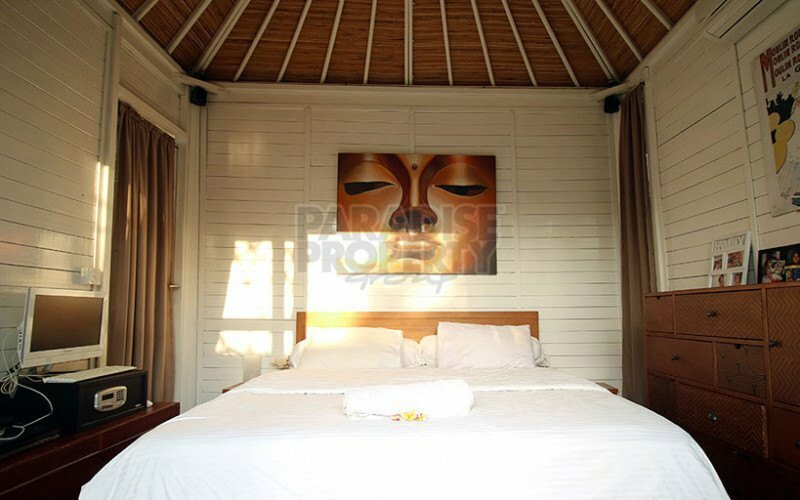 The garden offers fresh air circulation and is lush with a fish and turtle pond and a pool. 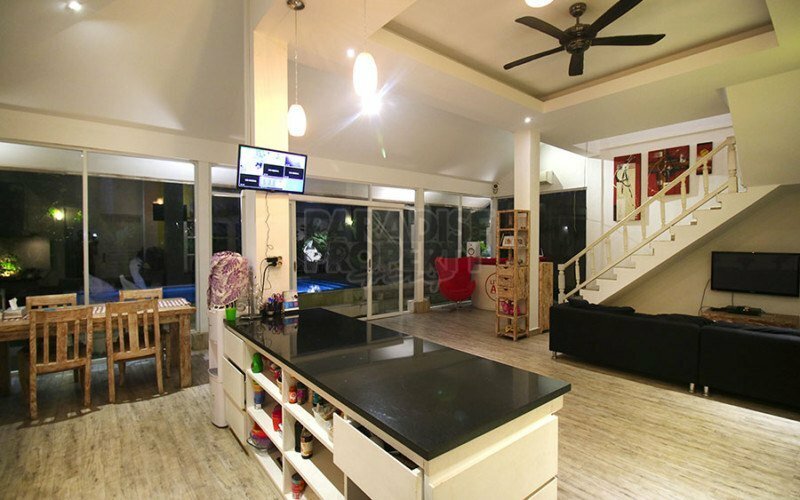 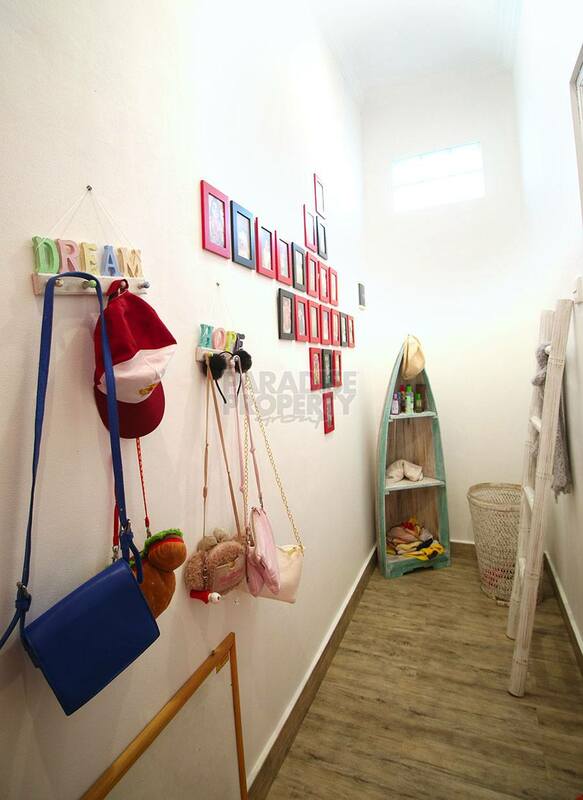 The garage area fits one car and 3 motorbikes, and is equipped with an automated door and a walk-through door.